THE REVIEW: After last year’s Birdman, a lot of attention was directed towards director Alejandro González Iñárritu’s follow up, The Revenant. Like Birdman which was shot to appear as if done in one take, The Revenant also features a unique “gimmick” that gets all the film students1 in a tizzy — it’s all shot with natural light (i.e. the sun, and fire). I include this in my review because it’s a nice tidbit to be aware of, and the results of the cinematography are amazing (possibly a three-peat for Emmanuel Lubezki who won for Gravity and Birdman), but it’s not enough of a reason in and of itself to go see the film (unlike the contrivance used in filming Boyhood). That being said, the visuals were probably what I enjoyed most about The Revenant. Not just because it’s a bunch of pretty pictures, but because of what it means when viewed as a whole. There’s a lot of attention to detail at play in this film and location plays a big part in the story. 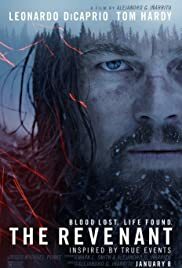 From action moments like Hugh Glass (Leonardo DiCaprio) being mauled by a bear, to his desertion by fellow frontiersman John Fitzgerald (Tom Hardy), and Glass’ subsequent journey to survive a brutal winter injured and alone. Combine this with costumes and props, and everything really does seem like it’s taking place in the 1800s. Believability is why this film succeeds. You become engrossed in the location and feel like you are transported there. It feels very much like a book in many ways which takes its time with descriptions and painting a picture. Except, instead of just imagining what the places look like, you actually see them. The Revenant is also quite long and slow pacing- and story-wise too. Part of this is welcome and in turn doesn’t feel drawn out like other slow-paced films can. Lots of time is spent on single scenes but by the time each act is done, I found myself thinking, “Wow, was that really an hour… it only felt like 20 minutes.” Always a good sign when a film seems to go faster than real time. Part of it has the opposite effect however, and several times throughout the film I was left confused as to what was going on. 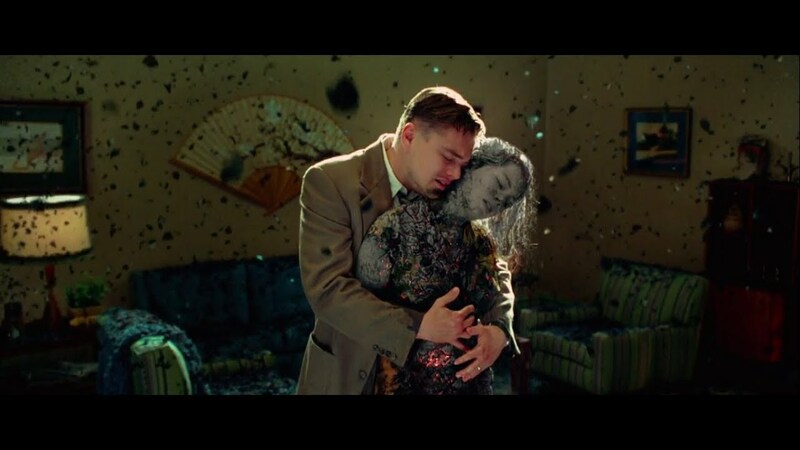 The vast majority, if not all, of these scenes dealt with flashbacks or dream sequences for Glass as you see his deceased wife floating above him, reminiscent of DiCaprio’s character in Shutter Island. These scenes are different enough that it’s clearly a flashback or a dream, so confused may be the wrong word to use here, but there wasn’t enough done with these moments that made them feel fully incorporated into the story. THE TAKEAWAY: Oscar talk has already begun with The Revenant occupying several potential nominee spots. DiCaprio’s work is indeed phenomenal but I wouldn’t be surprised if he’s overlooked for a Best Actor award yet another time (although if he does win, it won’t be undeserved). Best Picture and Director are possibilities but there’s a bunch of other movies I haven’t seen yet that could surpass The Revenant. The closest thing to a lock would be cinematography, but only time will tell. This is what I’d consider a “theater film”, by which I mean if you have any desire to see this movie at all, make sure you do it while it’s in theaters on the big screen. It captured my attention for the entire movie and I was squeamish, frightened, and mesmerized throughout. Parts of the story may seem like filler, but for the most part, Glass’ survival and revenge is a story worth going to see. The Revenant will open in limited release on December 25, 2015 and expand to a wide release on January 8, 2016.